We are all about women empowerment at Imperfect Concepts and we know how seeing sales on the dashboard can uplift your spirit. There are several small business owners that are on our radar right now. Each one of these would be a perfect ‘just because’ gift for friends, family, or even yourself. Which ones are your favorites? We love each one of these personally as a gift to give a friend or a client. The Skinny Bar Necklace has our name written all over it figuratively and literally. 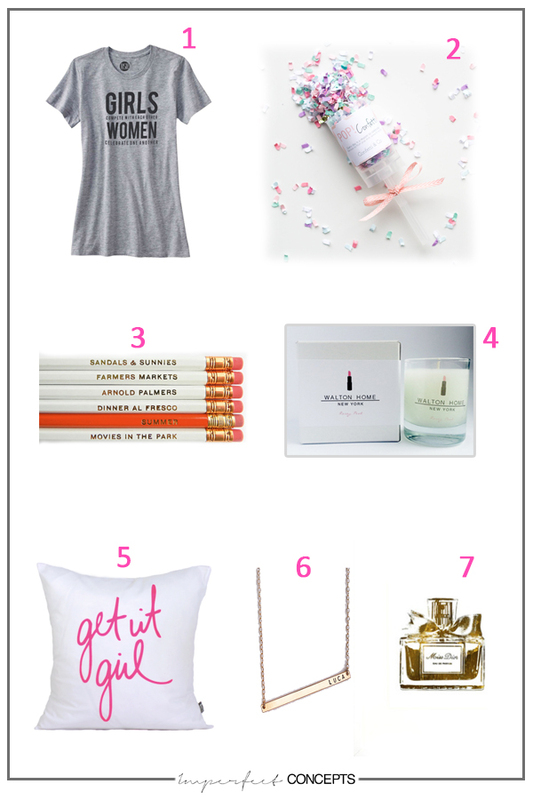 The Get It Girl pillow is definitely a gift that friends would love in their home offices.